East-West received a generous donation of Korean instruments and costumes from the Hanyang Culture Fund to support our Korean drumming program. Mr. Taek-Sun Han and Mrs. Hye-Jin Han both have valued the Korean programs in the public schools, and they want to recognize and support EWSIS Korean program and Poong-mul program especially in the heart of Flushing area. Thanks to our Korean teachers: Ms. Rhi for connecting with Mr. and Mrs. Han, and Ms. Kim for leading the Korean drumming class. Last Friday, East-West was fortunate enough to have Vivian Warfield speak to our students about Lewis H. Latimer. As the previous Executive Director of the Lewis Latimer House in Flushing, Ms. Warfield shared her extensive knowledge of the African-American scientist and inventor of the carbon filament. 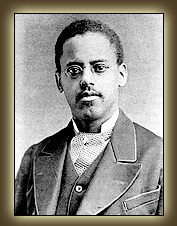 Read more about Lewis Latimer at the links provided at the end of this post. After Morning Muster, Ms. Warfield stayed to give two more in-class presentations on 19th Century African-American artists to all our 11th graders. Ms. Warfield is an active East-West volunteer and serves on the advisory board of the school’s nonprofit. UPDATE: They are still taking applications! Send them an email if you are interested. experiences as immigrants in America. With an experienced mentor and new friends, you will learnand improve your interviewing, writing and social media skills in a fun and encouraging environment. In collaboration with New Visions, 25 randomly selected 11th graders were invited to participate in a day-long series of panels and workshops focused on career and college readiness. The workshops were hosted by law professionals at Simpson Thacher & Bartlett LLP, one of the most renowned global law firms. The students reported that the day was “very eye-opening.” Most of the panelists did not know they wanted to do law when they were younger; many of them had different interests, such as medicine or teaching, and changed their mind to pursue law later in life. If you were one of the students who went on the trip, please leave a comment and tell us a bit about what you thought of the experience. We can try to understand the bullies and see how they feel too. February 14th – 18th is Respect for All Week. Lunar New Year at East-West! East-West celebrated Lunar New Year with activities on February 1st, 2nd, and 3rd. February 1st– Gallery walk by Japanese language classes to view Lunar New Year projects on display by Korean and Chinese classes. February 2nd– Students in Chinese and Korean language classes gave presentations on the Lunar New Year. Students from each of those languages, as well as Japanese language students, rotated between the Chinese and Korean presentations. There were trivia quizzes with traditional dumplings and rice cake soup served as prizes for trivia answers. February 3rd– Each Chinese and Korean language class hosted its own celebration during class time. On the second day of celebrations, we were fortunate to have members of the community and the press join us: Vivian Warfield, Alfred Rankins, Dennis So, World Journal, Korea Times, and Sino Television. For our Chinese readers, check out the article about us in the World Journal! Final call for school play auditions this Wednesday! The show's Tony Award winning creative team has created the unlikeliest of hit musicals about the unlikeliest of heroes: a quirky yet charming cast of outsiders for whom a spelling bee is the one place where they can stand out and fit in at the same time. This Wednesday, February 9th will be the final round of Auditions for this year’s school play. They will be held in the Auditorium from 3-5pm. Ms. Hartong will be directing a musical comedy called “The 25th Annual Putnam County Spelling Bee.” It will be performed in late May. Students, this is your last chance to try out! The play is open to ALL East-West students 6-12, no experience necessary. Students must be prepared to stay for the whole audition. Students who are interested in assisting backstage MUST also come to the auditions. High school students are especially encouraged to participate. Performances are May 25th and 26th at 7 pm.